Using the skeletonized EX-F03 platform as the base, this Hawkbill Karambit from Hogue Knives features a contoured and textured purple G-Mascus G-10 handle with finger ring for increased grip and utility. 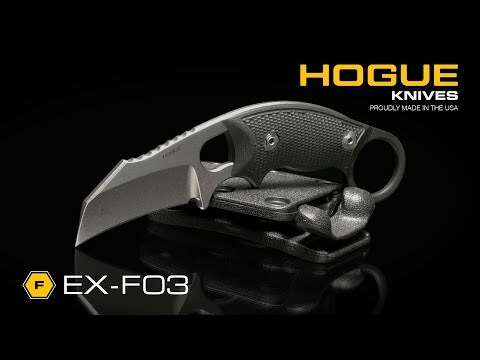 The EX-F03 is an Allen Elishewitz design and every detail of this fixed blade has been thoroughly thought out. 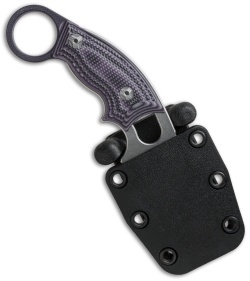 The wide handle profile offers additional grip that a thinner design lacks. Two blade styles are available: clip point and hawkbill. An auto retention sheath is included with this EX-F03 knife. 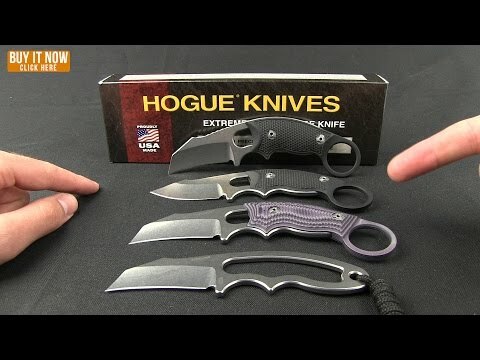 Hogue Knives are extremely underrated! 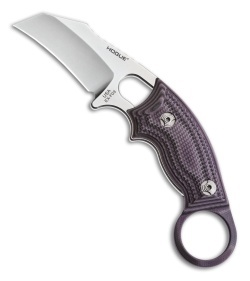 This knife was bought specifically to use as a neck knife and versital utility knife. I find myself carrying around the house looking for a reason to use it!